Recently I’ve been investigating 1-wire iButtons and interfacing them to different systems. 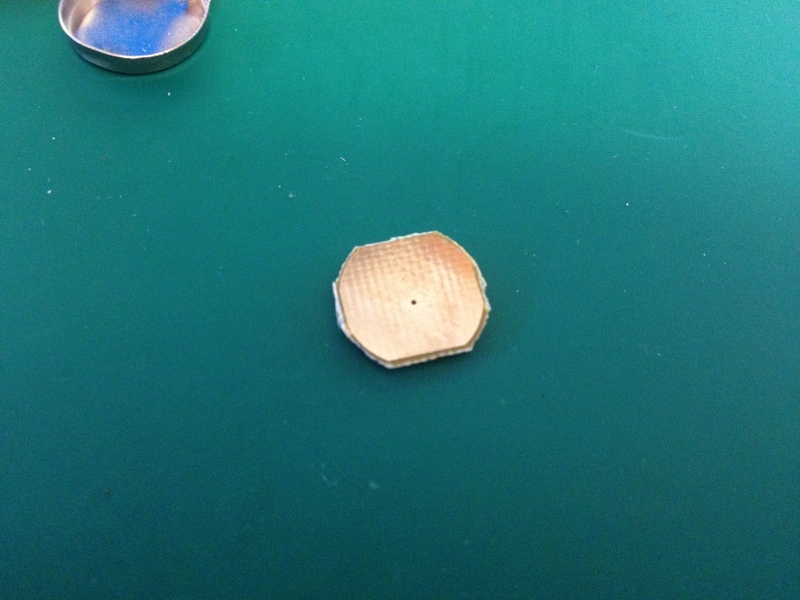 I thought it might be interesting to see what’s inside an iButton. 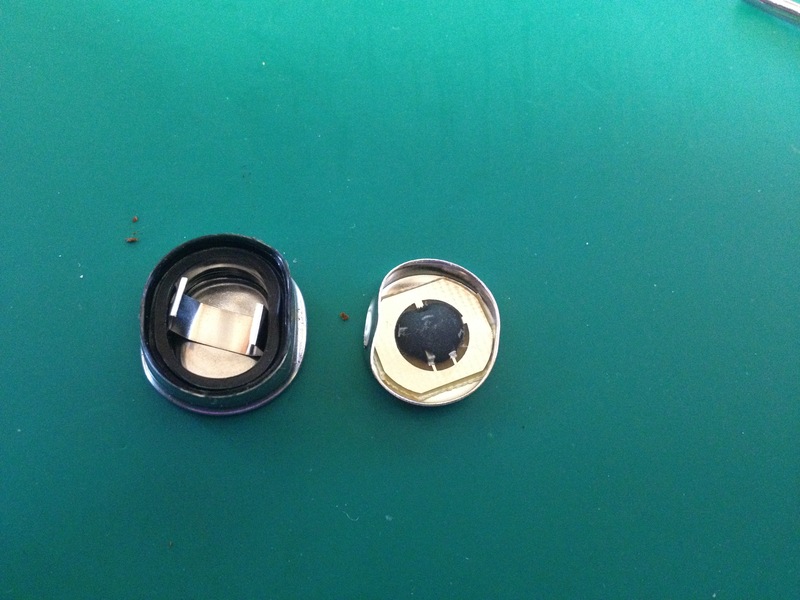 So here is my Dallas DS1990A iButton teardown. The 1-Wire iButton is essential an read-only-memory (ROM) with a unique 64 Bit serial-number programmed into it at the factory. The code is guaranteed to be globally unique, so no two iButtons will ever have the same code. In reality the code is actually only 6 Bytes (48 Bits) long because there is 1 byte of device-ID and one byte of CRC (cyclic redundancy code, a form of calculated checksum). The iButtons come in various shapes and sizes, but they all have the same features, a 64 Bit unique serial number in a metal can which can be read using a single data wire which provides power, and also writes instructions to the device and reads data back from it. See my previous posts on how this works, and how it can be implemented on various platforms. 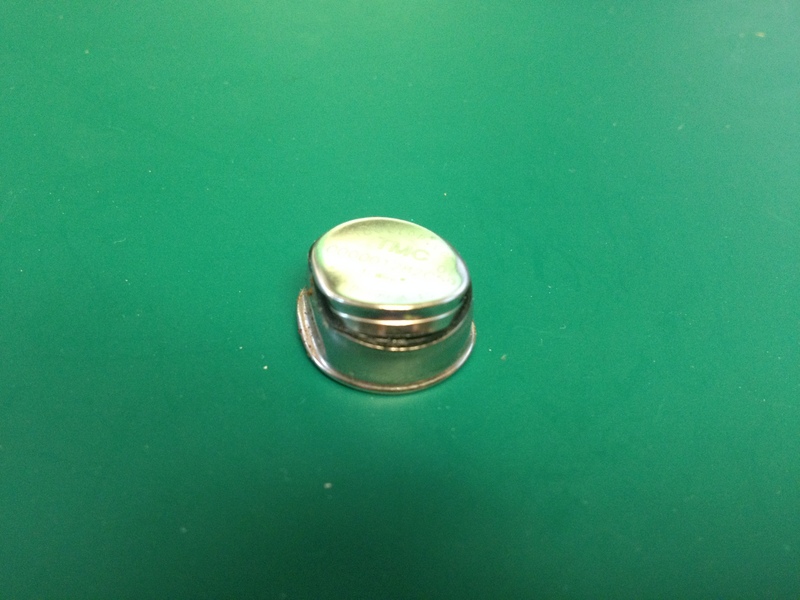 The button I’m tearing down today is the DS1990A, in a 5mm deep can, attached to a plastic key fob. To begin with, I simply popped the can out of the key fob, it is not glued or bonded, simply pressed into the key fob and retained by a lip on the can. The plastic fob just makes it easy to use and attach to a key ring or lanyard, it has no functional purpose as far as the electronics of the device are concerned. 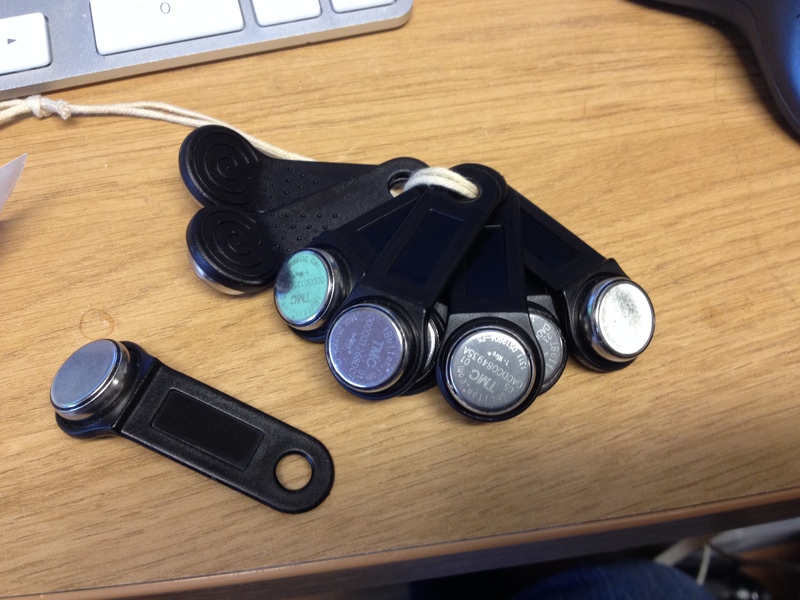 Due to their similarity to button cell batteries such as the CR2302 many people often think that they contain a lithium or rechargeable battery, and while some other 1-Wire devices such as temperature loggers do, these serial number iButtons do not include any kind of power source. All the power they need to communicate is drawn form the 1-wire connection. The next step is to pry the can open and see what’s inside. To do this I gently squeezed the can in a vice until it was deformed enough to pop open a little. Now that it was starting to open, I simply popped the top section out of the can to reveal all it’s insides. The electronics are on a board attached to the top section, and the rest of the can just contains a retaining clip and a rubber seal. these devices are completely waterproof when undamaged. Looks like the electronics are on the form of DoB (Die On Board) where a silicon die (i.e. the actual silicon chip) is bonded directly to a circuit board. There’s not much else to see. The die is bonded to a small piece of 0.5mm thick fibreglass board, which has an electro conductive coating, one side of the PCB contacts directly against the top can, the other to the bottom can via the retaining clip and a thin metal ring. The other side of the board has nothing at all except the conductive coating to contact with the can. Hi. Great article! But I have one question: is this ibutton (DS1990A-F5) key Maxim original or Chinese original? It look like the Chinese one. Here we call it Touch Memory Cards. I think they are Chinese made, not Dallas.